Includes Breakfast, Substrates, Mats and Easels. 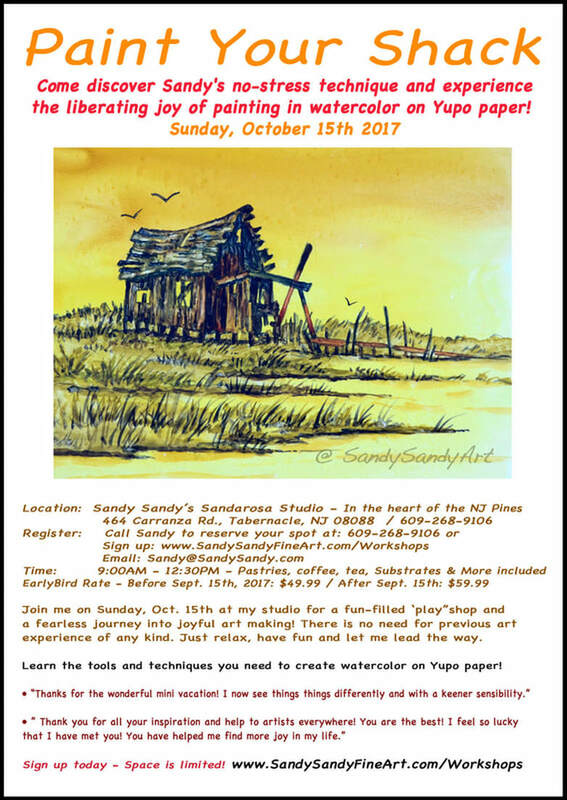 See the October 1st, 2017 Alcohol Ink on Yupo Shack Workshop Here. Workshop Policies - If the workshop is cancelled, 100% of fees will be returned. For participant cancellations, more than ten days before the start date, a full credit will be applied to future classes. If the cancellation is made 7 days or less from the beginning date of workshop, 30% of workshop fees will be credited towards future classes. 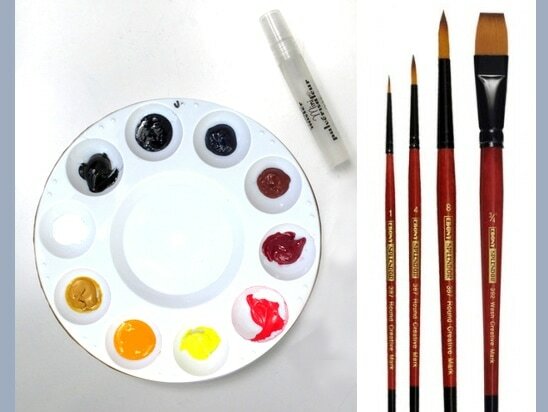 Any difference in price will be paid by or credited to the participant at the time of the make-up class. To register, use the BUY NOW button. If you prefer to pay by check or cash call Sandy at 609-268-9106 to make arrangements and reserve your spot. You can buy the *kit or bring your own materials. *See material list and kit below. Kits must be purchased in advance and will be available at the workshop.